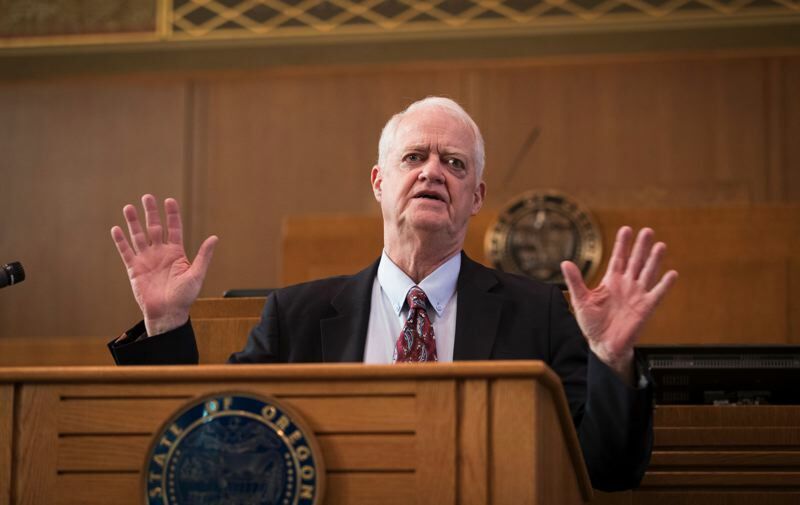 SALEM — More than a year after sexual harassment at the Capitol came into public view, Senate President Peter Courtney publicly apologized to victims in an emotional floor session Thursday, March 14. Courtney, a Salem Democrat who has presided over the Senate since 2003, broke his medical leave to return to the Capitol for the unexpected speech. He wanted to support survivors of sexual violence through a resolution before the Senate, according to his office. Senators unanimously passed the resolution, sponsored by 15 senators, in which they "support and believe" victims of sexual violence and pledged to "work toward creating an Oregon that is safe for all survivors of sexual violence." Courtney has made few public statements about the issue of sexual harassment at the Capitol, which became public as the #MeToo movement unfolded nationwide in 2017. Sen. Sara Gelser, D-Corvallis, who carried the measure, spoke movingly on the Senate floor about her experience reporting sexual harassment, and the challenges women at the Capitol still face now that the issue of sexual harassment is better known. She said some women stopped working in the Capitol because they didn't feel safe, or didn't want to accept unwanted touching as a condition of employment. 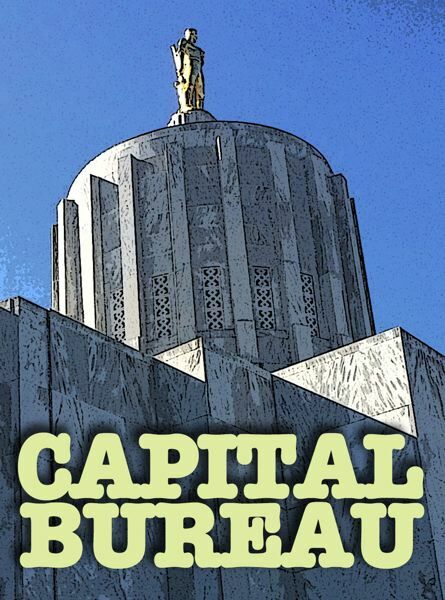 Legislative leaders recently agreed to pay $1 million to nine victims who claimed harassment while on at the job at the Capitol. "And yet, every person in power still has their job," Gelser said. She also read testimony from an anonymous lobbyist, who was harassed at the Capitol and was told by a lawmaker that he didn't want her work contact information because he didn't want to "get 'Me Too'd,'" or accused of harassment. Gelser noted that survivors of harassment hadn't received an apology from the Legislature. Speaking from the dais, Courtney then apologized to "any and all survivors" who have experienced any form of harassment at the Capitol. "We must do better," Courtney said. "I must do better. And that is why I made sure today I was coming here to vote yes on this." Courtney has Graves disease, an autoimmune disorder affecting the eyes, and went on medical leave last week due to a flare up of that condition, according to his office. He was scheduled to return full time to his Senate duties on Monday. 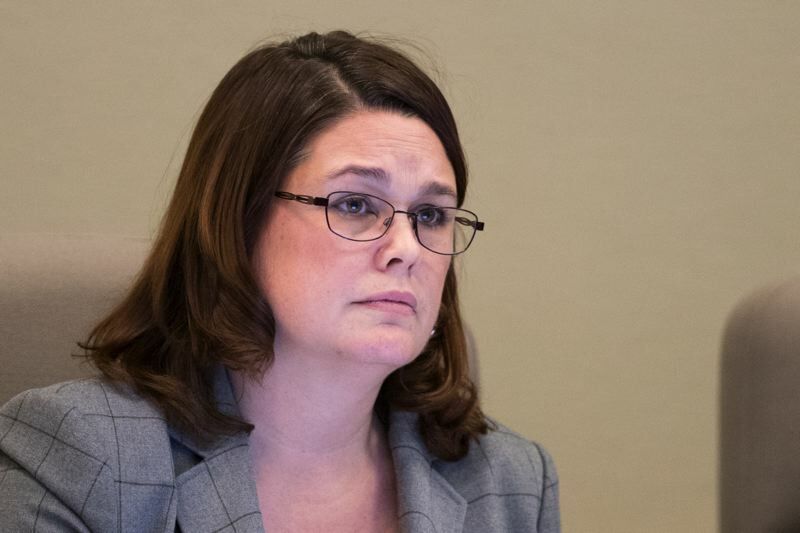 In late 2017, Gelser filed a complaint in late 2017 against then-Sen. Jeff Kruse, a Republican from Roseburg, more than a year after initially raising her concerns with leadership and administrative staff about unwanted touching by him. "It's been three years since the first time that I went to leadership to ask for help with that situation," Gelser said on the floor. "Despite that, my perpetrator was able to hurt other people in much more significant ways. We've had a lot of fractured relationships over this issue, we have had difficult conversations. I have spent a lot of time considering whether or not I even want to continue being a member of this body." People who experienced sexual harassment and violence wrote the resolution, Gelser said, and the focus should be on supporting them. "It's not about a bill," Gelser said. "It's not about voting yes on a resolution. It's about what we do every day."